Recent advancements in the areas of computers, software, networks, internet, communication technology, cloud computing etc. has made huge amount of information available to us. In this high-tech era, information is something without which industry and individuals cannot survive and their success depends on the ability to acquire accurate and timely information. Keeping this in mind FAMT started the Bachelor of Engineering program in Information Technology(IT) from academic session 2001-2002. Emphasis of B.E. in Information Technology curriculum is on Computer Science, Software Development, Networking, Communication, Web Engineering, Security, Multimedia processing, and Soft Computing. Specialized knowledge on the analysis and design of information systems is imparted. Currently the department’s infrastructure contains three classrooms, six laboratories, a staffroom, and a seminar hall. The computing facility in the department includes 155 computers with latest configuration, and other ICT equipments such as LCD projectors, printers and scanners. Recently in February 2017, thed department’s faculty members Dr. Vinayak A Bharadi and Prof. Santosh V Jadhav got a NVIDIA GPU Research Grant of Rs. 1.5 Lacs in the form of Titan X Pascal GPU(Graphics Processing Unit) to support research. Information Technology department has also got academic collaboration with NVIDIA for three subjects namely Soft Computing, Big Data Analytics, and Robotics. They will provide course material, and hardware support for conduction of these courses as well as bridge courses. Students undergo on-field projects so that they can be prepared to face professional challenges. Recently from January 2017 to February 2017, students of final year have successfully published sixteen(16) research papers at various national/international conferences/journals. Research areas of published works are Cloud Computing, Ubiquitous Computing, Pervasive Computing, Soft computing etc. Besides this, students are given in house training of GATE examination, aptitude, and other competitive examinations. The Department’s students body ‘Information Technology Student Association’ (ITSA) is actively involved in creating awareness about technological advancements amongst students. ITSA also coordinates and organizes various events like group discussions, online quizzes, workshops, seminars, and industrial visits that help students to keep themselves in tune of latest technological advancements. Besides this, ITSA also coordinates charity events such as blood donation, help to drought affected farmers etc. The Department provides complete support to students for training and placement. IBM, Wipro Spectramind, Tata AIG, HCL, Patni Computer Systems, ICICI Infotech, TCS, Finolex Industries Ltd., Magneto-IT solutions, CNC Ltd., Config Solutions, Xento, and Bitwise solutions are some of the IT companies who are regular recruiters of IT students. Recent advancements in the areas of computers, software, networks, internet, communication technology, Big Data and cloud computing etc. has made huge amount of information available to us. In this high-tech era, information is something without which industry, individuals cannot survive, and their success depends on the ability to acquire accurate and timely information. Keeping this in mind FAMT started the Bachelor of Engineering program in Information Technology (IT) from academic session 2001-2002. Emphasis of B.E. in Information Technology curriculum is on Computer Science, Software Development, Networking, Communication, Web Engineering, Security, Multimedia processing, IoT, Cloud Computing, Data Analytics and Soft Computing. Currently the department’s infrastructure contains three classrooms, six laboratories, a staffroom, and a seminar hall. Ole classroom is ICT enabled with Wi-Fi projection facility. All floors of IT department have Wi-Fi connectivity. The computing facility in the department includes 155 computers with latest configuration, and other ICT equipment such as LCD projectors, printers and scanners. Recently in February 2017, the department’s HoD Dr. Vinayak A Bharadi and Prof. Santosh V Jadhav got a NVIDIA GPU Research Grant of Rs. 1.5 Lacs in the form of Titan X Pascal GPU (Graphics Processing Unit) to support research. Information Technology department also has academic collaboration with NVIDIA for three subjects namely Soft Computing, Big Data Analytics, and Robotics. They will provide course material, and hardware support for conduction of these courses as well as bridge courses. It Department has conducted Bridge courses in Mobile Cloud Computing, MongoDB Connectivity, Online Payments for E-Biz to make students industry ready. Besides this It Department has done a tie-up with Microsoft for conducting Training and Certification for students as well as staff in the domain of IoT and Cyber Security, first session of this training was conducted in Sept 2017. Students undergo on-field projects so that they can be prepared to face professional challenges. Recently from January 2017 to Nov 2017, students of final year have successfully published Thirty Two (16) research papers at various national/international conferences/journals out of which Fifteen (15) papers are in UGC Approved Journals. Research areas of published works are Cloud Computing, Ubiquitous Computing, Pervasive Computing, Soft computing etc. Besides this, students are given in house training of GATE examination, aptitude, and other competitive examinations. Teachers in IT department are very active in upgrading knowledge, In Odd Semester of AY 2017-2018 Eight Faculty members from IT Department have successfully completed Certified Training programs from NPTEL and Prof. Santosh Jadhav and Prof. Atiya Kazi has achieved national level ranking as Top 1% and Top 5% respectively. Department will strive to provide best in class education and facilities for the stakeholders and contribute for nation building. M3 To imbibe professional ethics and social values in the students and make them responsible citizens. PEO1 To provide lerners with Core Competence in mathematical, scientific and basic engineering fundamentals necessary to formulate, analyze and solve hardware/software engineering problems and/or also to pursue advanced study or research. PEO2 To prepare learners to solve business-centered problems by identifying, analyzing, developing, and implementing information system based solutions with modern programming tools. PEO3 To prepare learners for successful career in Indian and Multinational Organizations, Identify and evaluate current and emerging technologies. To provide our graduates with learning environment awareness of the life-long learning .To motivate students to pursue it throughout their career and higher studies. PEO4 To encourage and motivate learners for Research & Development and entrepreneurship. PEO6 To encourage learners to use best practices and implement technologies to enhance information security and enable compliance, ensuring confidentiality, information integrity, and availability. PEO7 To develop effective written and oral communication skills to interact with clients, users, co-workers and managers. To enable lerners work as part of teams on multidisciplinary projects and diverse professional environments to accomplish a common goal by integrating personal initiative and group cooperation. This collaboration will enable the team of faculty to access the NVDIA Kits, Teaching resources, Laboratory materials and Forums for curriculum development and implementation for UG/PG/PhD students. Information Technology faculty members have successfully completed NPTEL courses in second half 2017. Information Technology Faculty and Students have successfully completed the requirements to be recognized as a MICROSOFT TECHNOLOGY ASSOCIATE for SECURITY FUNDAMENTALS in First half 2018. Information Technology Faculty members have successfully completed Intel IoT Certification and ISTE Approved one week STTP on IoT based Applications for Smart Cities in First half 2018. Information Technology Faculty members have successfully completing courseware, practical training and evaluations for INSTRUCTIONAL EXCELLENCE IN INTELLIGENT SYSTEMS under the INTEL COLLEGE EXCELLENCE PROGRAM in First half 2018. Information Technology students were selected in final round for the national level competition “Smart India Hackethon” in second half 2017 at New Delhi Institute of Management (NDIM). 2. Ms. Shrutika Bhelekar Secured “2nd rank” at the inter-collegiate “collage competition” as a part of 49th annual youth festival conducted by university of Mumbai. Welcome Programme A welcome function for Second Year Students of IT department was arranged under ITSA on 08 July, 2017…. A session on ‘Soft Skills’ was delivered by Mr.Upendra Kulkarni – alumni 2007 batch to IT students on January 28,2017…. A seminar on ‘Career Opportunities in MKCL’ was delivered on January 16, 2017. 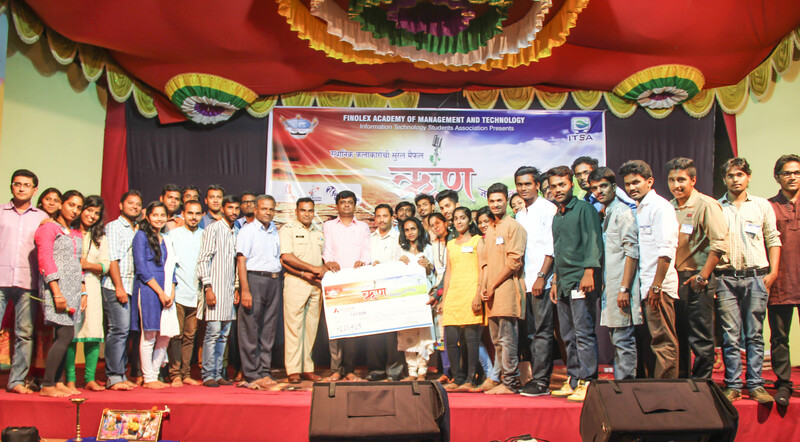 It was organized by Information Technology Department…. The Academy is well equipped with 462 computers. Department’s computer center has a client server based network with 104 Nodes and 4 Servers-Mail Server, FTP Server, Primary Domain Controller (PDC) and Replica Domain Controller (RDC). All are branded P-IV machines with latest configurations. 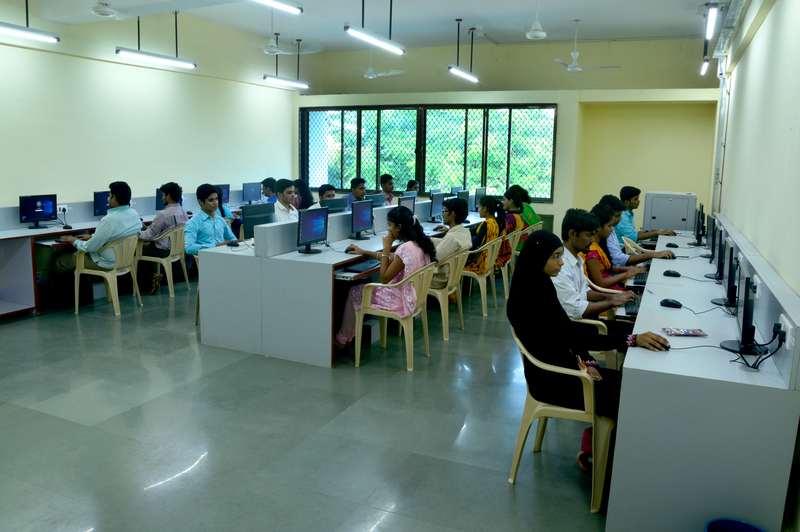 In addition to these, a Computer Application Lab with 40 machines facilitates students’ project works. The Department has 4 broadband connections. There is a separate browsing centre attached to library for the students to browse internet. The key focus areas of the Department are Cloud Computing, Ubiquitous Computing, Computer Networking, Data Mining, and M-commerce. The Department has licensed version of Visual Studio, .NET, Windows-XP, Borland, C++ and MAT LAB 6.0. These are used to carry out practical sessions of various subjects. Crosswords Designed by Information Technology Dept. M R Balpande, M S Joshi, M M Patil, A R Palwankar G D Khedekar. Salvi Sumedh Suhas IT Firestar International Pvt. Ltd.
Subodh Kadam IT CMS IT Services Pvt. Ltd.
Zoheb Fondu IT CMS IT Services Pvt. Ltd.
Shaihbaj Mulla IT CMS IT Services Pvt. Ltd.
Sulabha Davande IT CMS IT Services Pvt. Ltd.
Vidhiben IT CMS IT Services Pvt. Ltd.
Ayesha Hatwadkar IT CMS IT Services Pvt. Ltd.
Vrushali Surve IT CMS IT Services Pvt. Ltd.
Priyanka Bhagat IT CMS IT Services Pvt. Ltd.
Pratiksha Zore IT CMS IT Services Pvt. Ltd.
Shivangi Karnik IT CMS IT Services Pvt. Ltd.
Juvil Palkar IT CMS IT Services Pvt. Ltd.
Tasneem Bhatkar IT CMS IT Services Pvt. Ltd.
Ashmita IT CMS IT Services Pvt. Ltd.
Pooja Pawar IT CMS IT Services Pvt. Ltd.
Vinay Salvi IT CMS IT Services Pvt. Ltd.
Kalyani Bhirje IT CMS IT Services Pvt. Ltd.
Jagruti Rane IT CMS IT Services Pvt. Ltd.
Saurabh Kulkarni IT CMS IT Services Pvt. Ltd.
Sneha Vishwakarma IT CMS IT Services Pvt. Ltd.
Ceyona D'Souza IT CMS IT Services Pvt. Ltd.
Madhura Shende IT Instatech Solutions Pvt Ltd. In order to facilitate knowledge exchange between the stakeholders, the department of Information Technology had constituted 12 member core committee called Departmental Advisory Board (DAB). The complete DAB members are listed in the following table. Sharing departmental information with the DAB members. Review of all curricular, co-curricular, and extracurricular activities being conducted in the department. Review of projects and R&D activities in the department. Open discussion in line with the agenda and further development of the department.